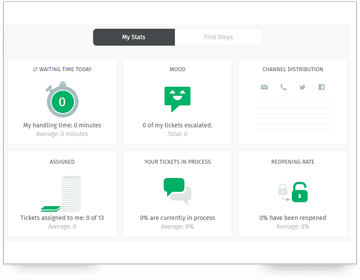 Manage customer tickets with ease and delight your them with prefect resolution quickly. Aritic Desk is personalised and fast. 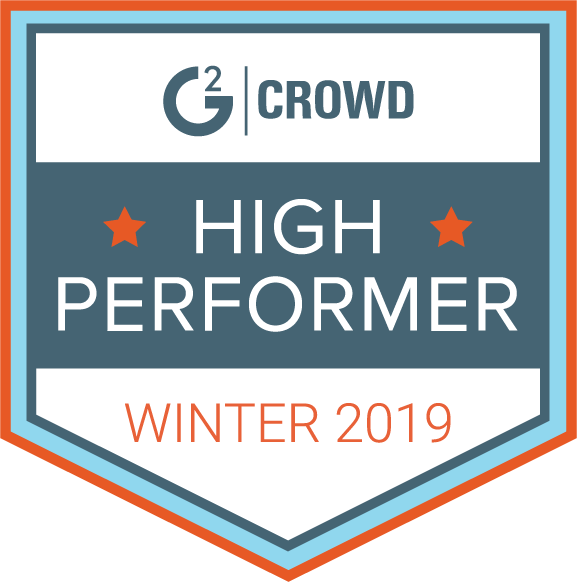 Manage, organise, and support your team to conduct customer support seamlessly. 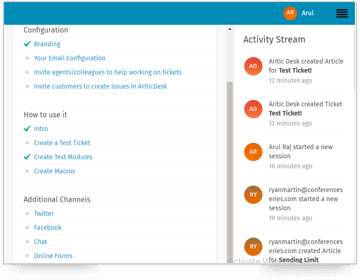 Create tickets, assign, and edit them to keep things on track and moving. 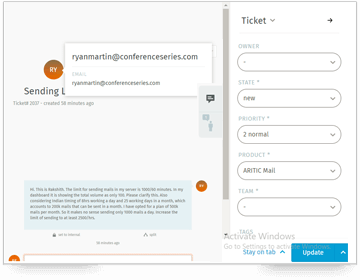 An interactive dashboard to keep track of all the tickets created, assigned and deleted- whether you are using as an agent or a manager, Aritic Desk gives you one intuitive dashboard to know it all. Why restrict your customer support to just emails or phone calls? Aritic Desk offers you multiple channels like SMS, emails, social media platforms, phone calls, and more to stay connected. 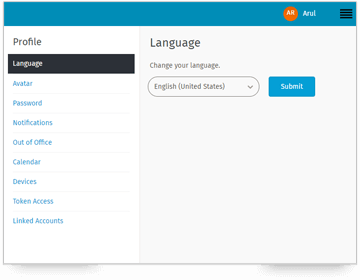 Schedule a Demo and check if Aritic Desk is right for your Business!